Sharmila Chauhan - OWN IT! Sharmila Chauhan - OWN IT! 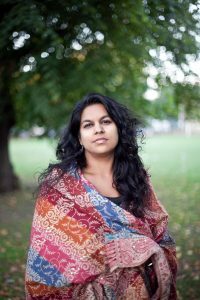 Shortlisted for the Asian New Writer award (2009 and 2012), Sharmila’s short stories have been published widely in print and online. She is also currently working on her novel: En-Circle. We represent Sharmila for literary, film and TV rights. To speak about any of these please email agency@ownit.london.